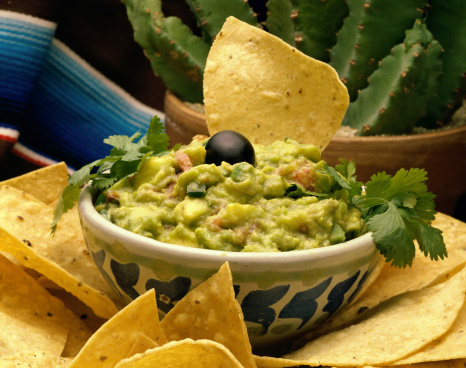 Plain guacamole is delish, but you can jazz it up by adding tons of fresh herbs. The herbs are also full of phytonutrients to make a healthy recipe into an extra healthy one. Full of healthy fats, vitamins A and E, folate and potassium, pair this dip with celery sticks, baked corn tortilla chips or romaine leaves. Cut the avocados in half, remove the pit and scoop the flesh into a large bowl. Add the lime juice and mash. Stir in salt to taste and fold in the chopped herbs so as not to crush them. Makes about 2 cups of dip.